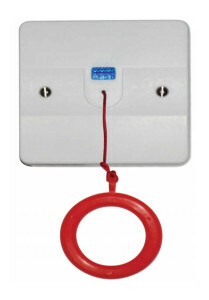 C-TEC's market-leading NC951 Disabled Persons Toilet Alarm kit includes everything required for a BS8300 clause compliant emergency assistance alarm (except cables and fixings). Click here for more information. 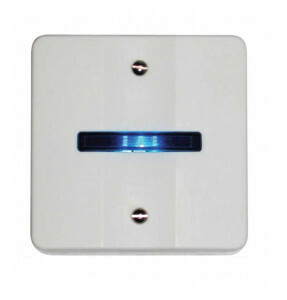 Click here to download Product Specification. 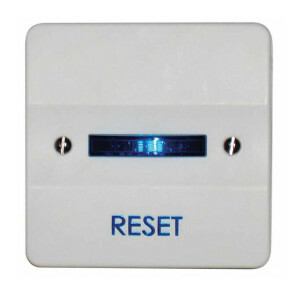 The reset unit has a blue engraved legend ‘RESET’. When a call is activated the reset switch illuminates and the internal sounder activates. The call is reset by simply pressing the reset switch. The reset switch is supplied with Braille legend on the switch piece. 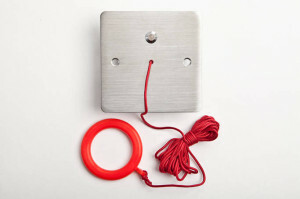 The pull cord unit is supplied with a red plastic ring. An extra ring is supplied to conform to ‘Approved Document M’. The second ring should be fitted lower down near floor level. Activating a call is simply made by pulling the cord. This will activate the re-assurance indicator on the pull cord unit. In turn this will also illuminate the reset unit and trigger the internal sounder. 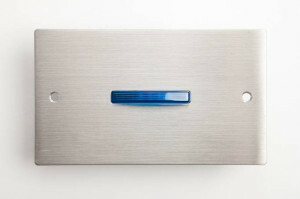 At the same time the Overdoor indicator/sounder unit will illuminate and trigger it’s own internal sounder.